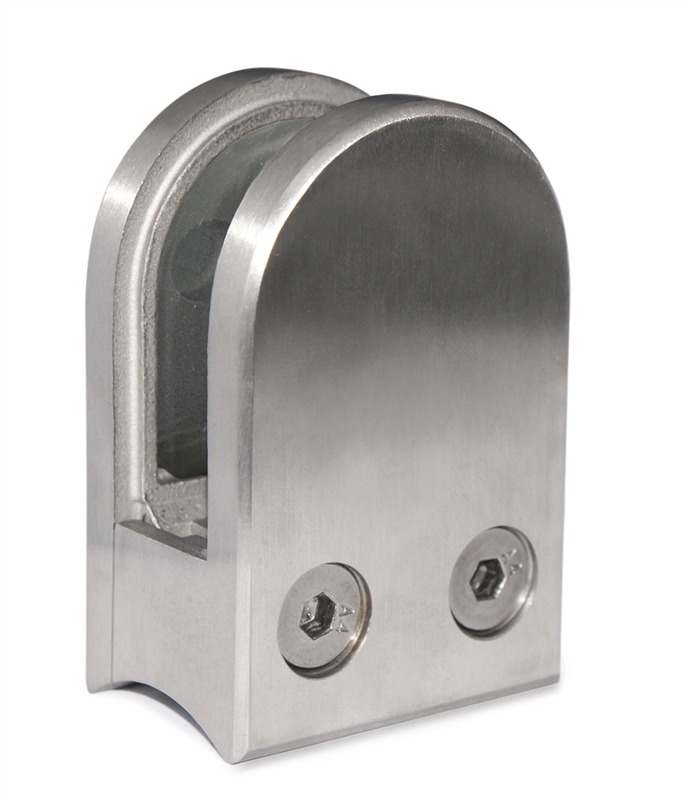 This clean-looking stainless steel clamp is perfect for 1 1/3" dia. tube and glass thickness from 3/8" to 1/2". 316 Stainless Steel Bar Holder 1/2" Dia. Hole for 1 1/3" and 1 2/3" Dia. Newel Stainless Steel Anchorage For Tube 1 1/3" Dia. x 5/64" Stainless Steel Tube 1 2/3" x 19'-8" Stainless Steel Round Bar 3/8" Dia. x 9' 10"